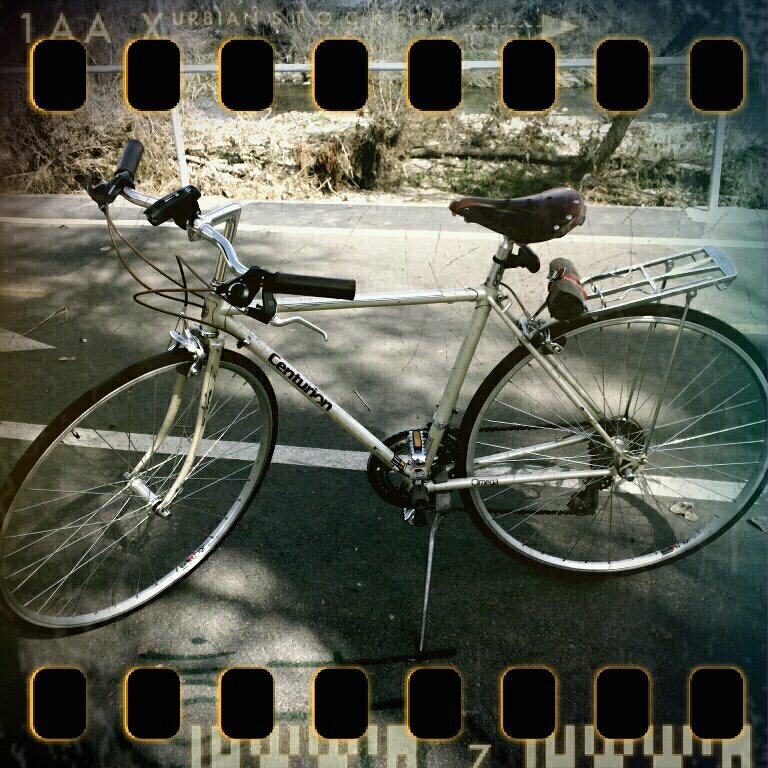 The most important part of being a bicyclist is the tool by which she hurdles through time and space – the bike. You wouldn’t truly be getting to know me if you didn’t meet my bikes. Whenever a new person enters my home, I find myself giving introductions. So I’ll do the same for you virtually! 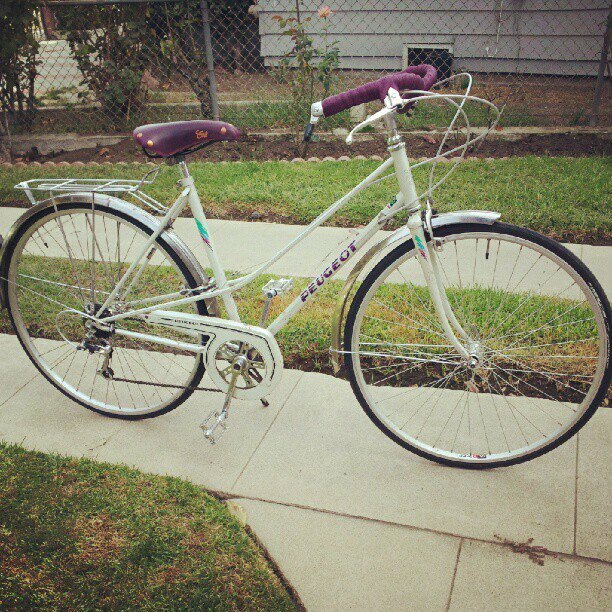 1980s Centurion, bought used and modified for comfort while commuting. 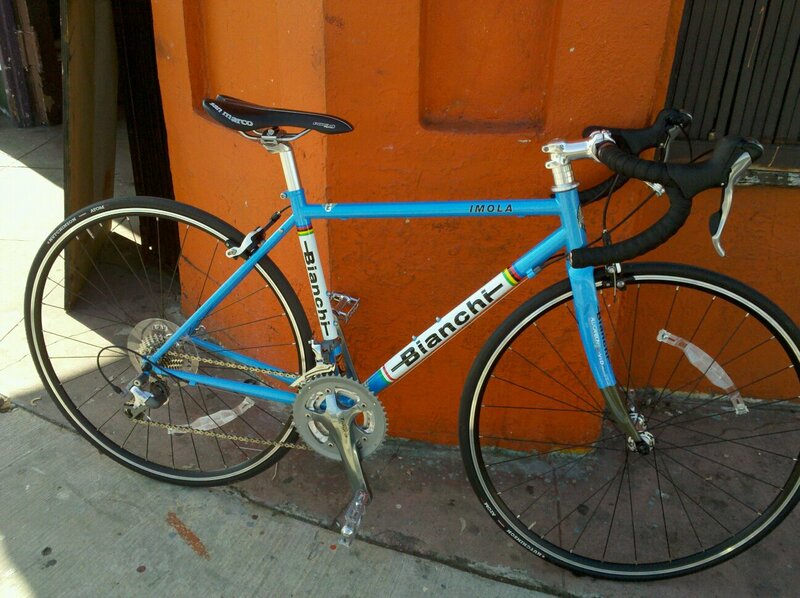 2012 Bianchi Imola for fast road riding and club rides. Couple of changes since this picture but she’s only prettier now. 1984 Peugeot Chambord recently restored (by moi!) for relaxed commuting. Lucky Craigslist buy. Secretly my favorite bike, but it will hurt some feelings if you blurt that aloud. This entry was posted in Uncategorized on October 27, 2012 by womenskit.